Georgine Saves » Blog Archive » Good Deal: Shiatsu Back Shoulder and Neck Massager with Heat $34.97 + Ships FREE! TODAY ONLY! Good Deal: Shiatsu Back Shoulder and Neck Massager with Heat $34.97 + Ships FREE! TODAY ONLY! 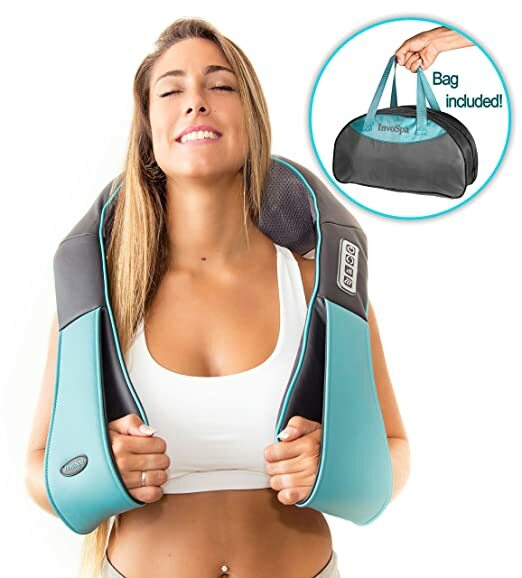 #ad Today only, 3-24-19, the Shiatsu Back Shoulder and Neck Massager with Heat is $34.97 (regular price $49.97) at Amazon.com. This deep tissue massages your neck, shoulders, upper back, lower back, waist, foot, tights, calves, legs, feet and arms helping your full body parts to release stress, relieve sore muscles, and help you relax. Shipping is FREE.